Left insert: Standing together by the refurbished Petrie memorial are Janice Hall (Great Grand daughter of Tom Petrie) and Maroochy Barambah (Great Great Grand Daughter of Kulkarawa, Grannie Kitty, who was one of the few Turrbal People that survived the adverse impact of European settlement in Brisbane.) Right insert: Tom Petrie. 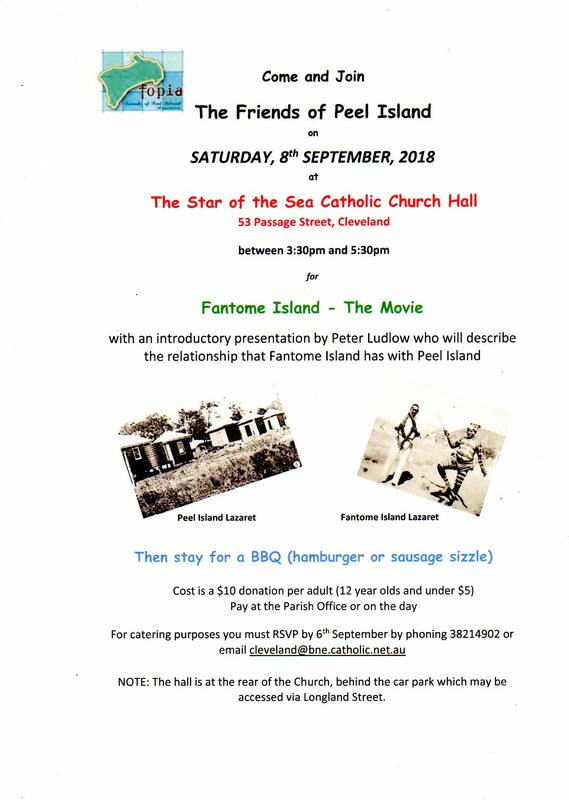 Tomas Petrie arrived in the penal colony at Moreton Bay with his parents in 1837 when he was just 6 years old. His father, Andrew Petrie, was to become Clerk of Works in the colony. Thomas was educated by a convict clerk and was allowed to mix freely with Aboriginal children. He learnt to speak the local language Turrbal and was encouraged to share in all Aboriginal activities. 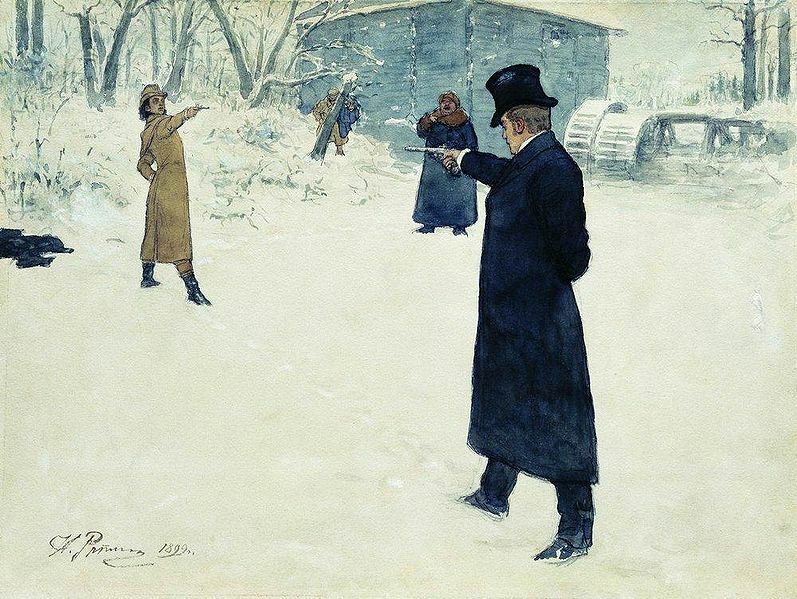 He was witness to convicts labouring in chains on the government farms along the river and saw numerous floggings of convicts on Queen Street. At 14 he participated in a walkabout to a feast in the Bunya Mountains. He was accepted by the Aborigines and was often used as a messenger and invited on exploration expeditions. He also learned about surveying, bushcraft and the local geography while travelling with his father, Andrew Petrie. 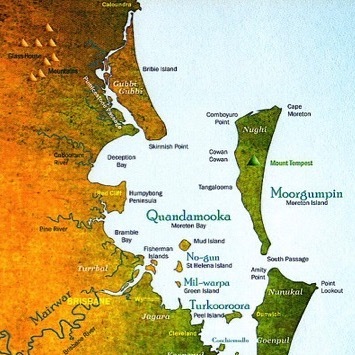 After his marriage to Elizabeth Campbell in 1858, Tom bought property in the North Pine district, which he called Murrumba (Good Place) and where he was helped by friendly Aborigines to clear his land and construct his first buildings. 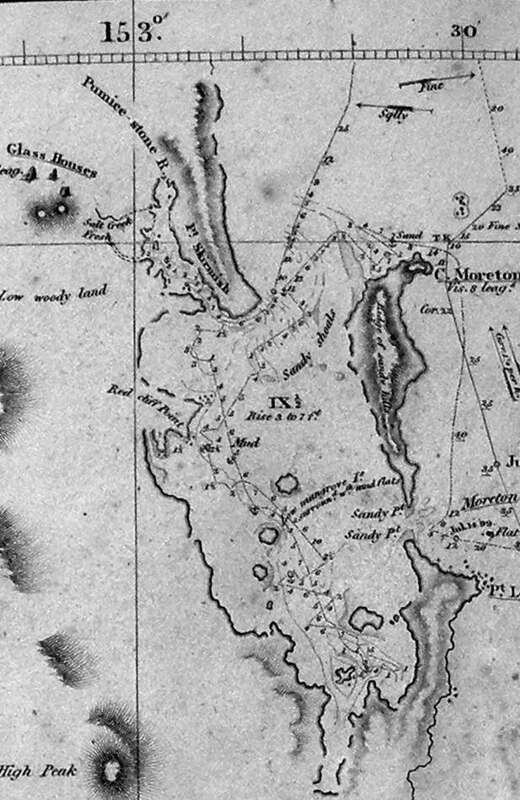 He continued to explore widely, his main aim being the search for new timber areas and places for further settlement along the coast. 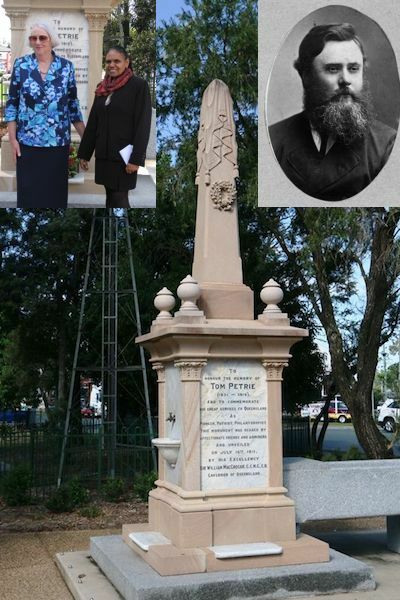 Petrie died at Murrumba in 1910, and the name of the North Pine district was changed to Petrie in his honour. There is also a new suburb in the area named Murrumba Downs. 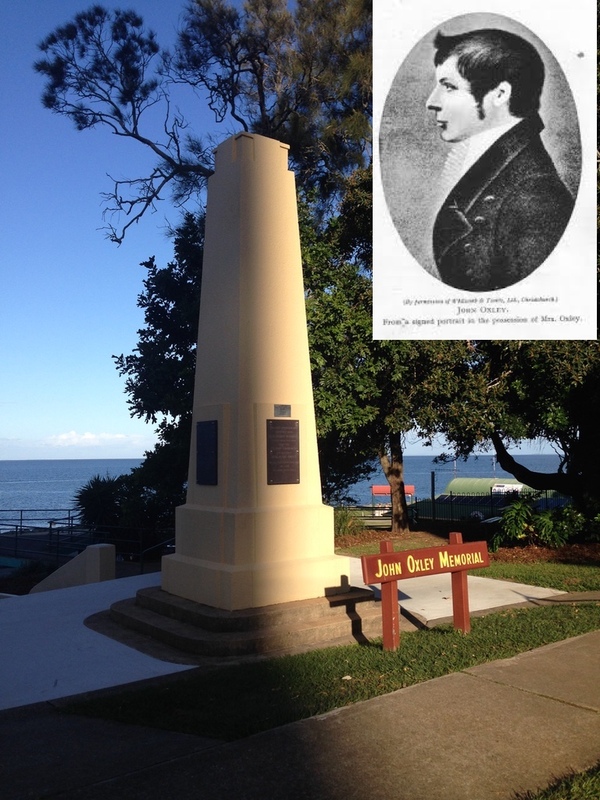 ‘The Aborigines on Bribie would have been startled by the visit of Matthew Flinders in 1799. 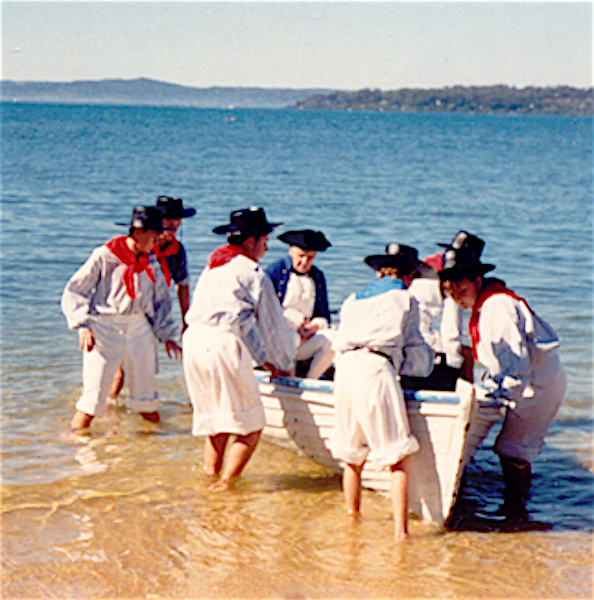 Gradually, after the settlement of the Moreton Bay district from 1824, Europeans began visiting the island, initially as escaped convicts, then as free settlers. 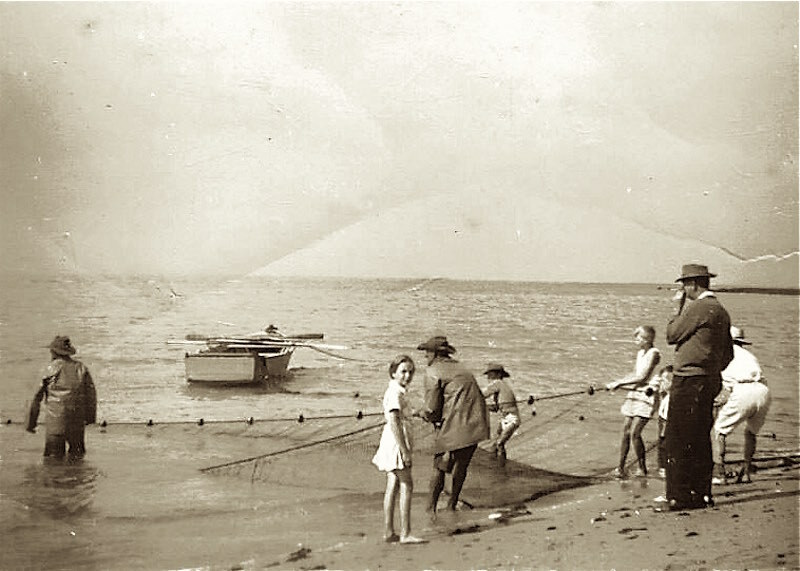 ‘Fishing and oystering were the great attractions. In the 1890s fish canneries and oyster leases were set up. Recreational fishing had also become popular, and in 1911, the Koopa began bringing holidaymakers and day-trippers to the island. Camping was popular along the Passage foreshore and a plethora of boarding houses also sprang up. 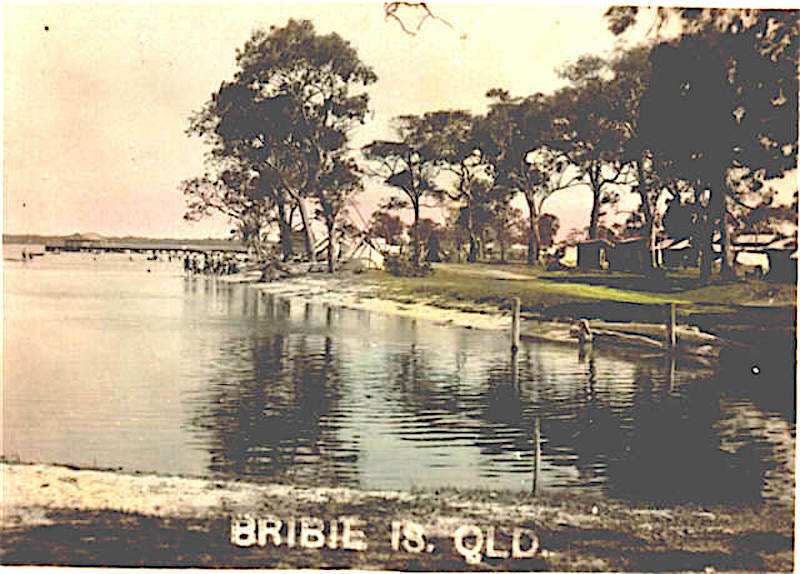 ‘When the bridge to Bribie was finally completed in 1963, Bribie came within easy reach of Brisbane’s motoring public, and an ever-increasing dormitory for the workers of Brisbane. 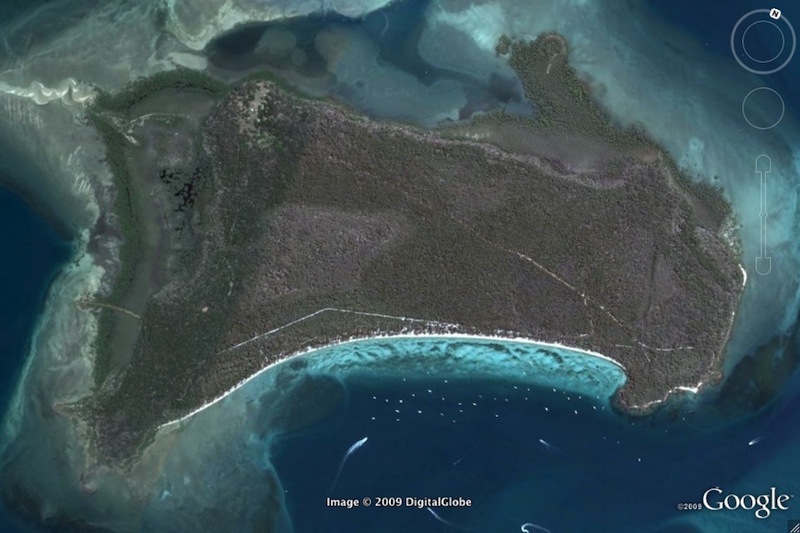 ‘At weekends we used to walk around from our house at Bongaree to Red Beach. It was quite a long hike. It was winter then, and by the time we got there – it was probably just gone daybreak – dad would had already been in the water twice up to his waist to pull in the nets because the fish would run early. He’d have all his wet flannels hanging up to dry. ‘My mother also went fishing on her own and she’d bring home buckets of whiting, but then dad would come in with his fish, and when they were fishing around Red Beach, they piled them all up on our front yard. They had these old army Blitzes – snub-nosed trucks left over from the war. They brought all their fish in, dumped it on our front yard, and then cased it in wooden cases. They were primarily mullet, which they sent off whole – no gutting. The fish were grouped according to size, and then sent to the Brisbane Fish Markets by boat. They left some for us and we ate a lot of fish and their roe (eggs) – white and yellow roe. When the trawlers were in dad also swapped some of his fish for prawns and crabs so we got a bit of everything. It was a good diet for growing kids. The native name of Bulimba was “Tugulawah” (heart shaped). 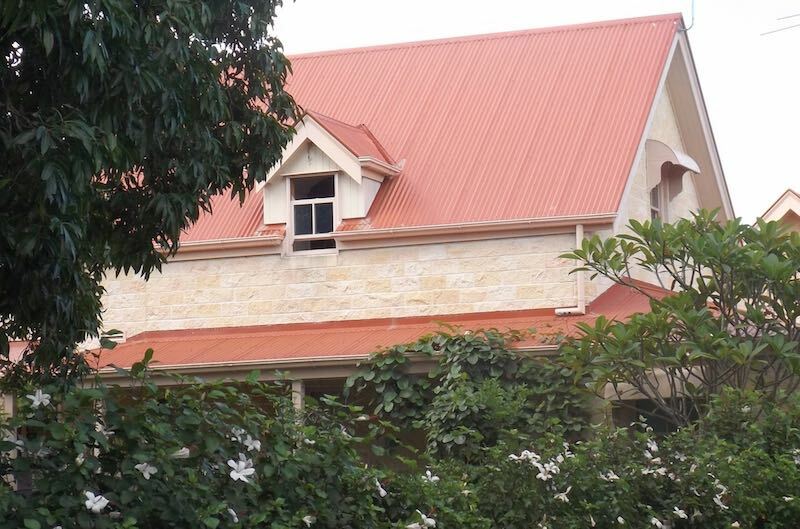 The first European settler was David Cannon.McConnell who built Bulimba House in 1850 at the end of Bulimba Point. The house was built of grey freestone, obtained from the Black Ball Quarry – a site later occupied by Baynes Brothers, as a meat works known as Queensport. McConnell grew maize and oats as fodder for his cattle, which he imported for his pastoral holding he had taken up at Cressbrook. McConnell had planned to make Bulimba his home, but found the climate unsuitable for his wife, who was in poor health. Donald Coutts then bought the Bulimba property, and after cultivating it for some years, cut some of it up into small blocks and auctioned them in 1864. When Coutts died the remaining property was sold to Thorpe Riding who cut it up into 4 ha and 5 ha farms that were sold and worked for many years. 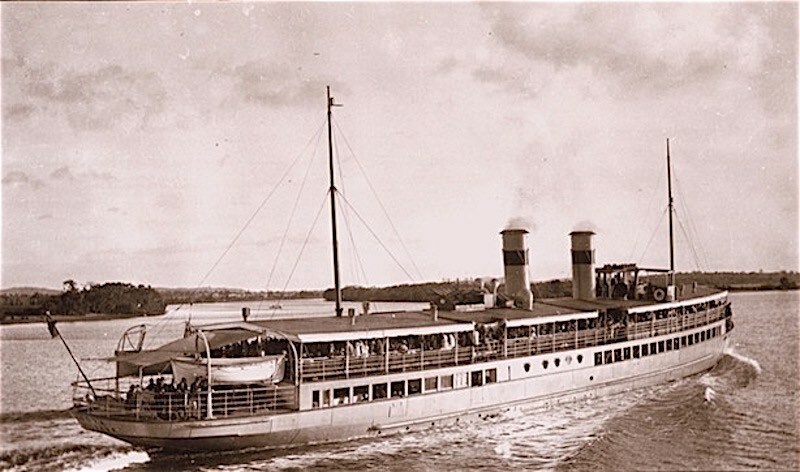 The only practical way to Brisbane was by boat, and the Bulimba Ferry dates from 1864 and was operated by John Watson, a boat-builder by trade, who also built Fort Lytton near the mouth of the Brisbane River. He also built the Mercantile Wharf on the bank opposite his home at Bulimba. The earliest settlers at Bulimba grew mainly vegetables and maize, but in 1856 bananas were planted, and by 1862 they became the principal crop. At about this time, sugar cane growing was introduced with the first sugar being crushed by the floating sugar mill named Walrus, which steamed along Bulimba Creek and later the Brisbane River. Later, with the introduction of steam powered crushing mills, the Walrus went out of existence as a sugar mill, but later became established as a distillery. Walrus Rum was well known in the late 1860s. Later as the sugar industry expanded, more land was required for growing the cane, and the industry gradually transferred from the Bulimba area up along the Queensland coast. As a young man, Norman Reginald Wright had spent some time with his parents on a mixed farm on Coochiemudlo Island in Moreton Bay. 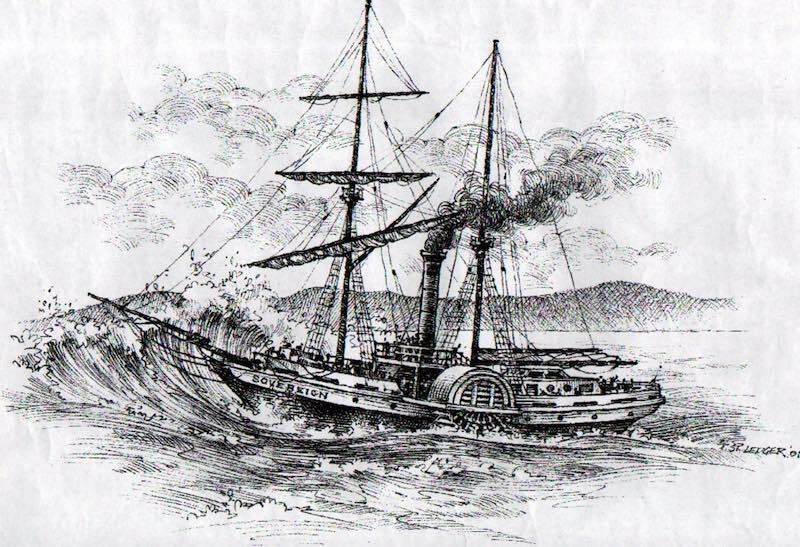 The venture proved to be unsuccessful and the family returned to Brisbane where Norman worked for the firm of Laycock-Littledykes. However, due to an accident, he suffered a hand wound and was unable to work for several weeks, and during this period he spent most of his time at the boat shed of John Hawkins Whereat at McConnell Street. 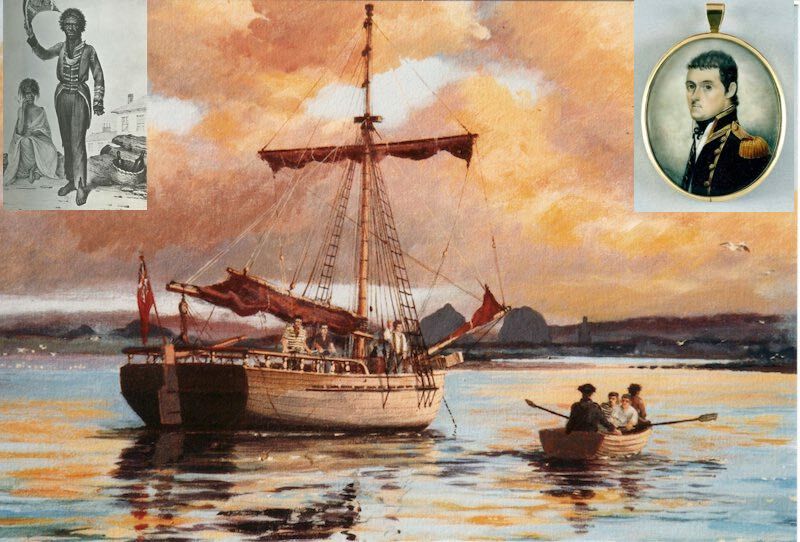 It was here that he decided to enter the boat building business and applied successfully for a job with Whereat’ s. During his employment at Whereat’s Wright designed and built ‘out of cedar picked up in the mangroves on Peel Island and scraps’ the ten footer Commonwealth with which he won many sailing championships. In the off season, fishing trips in George Crouch’s fishing boats to the sand hills on Moreton Island never failed to secure ample supplied of fish. (The Crouch Brothers, fishermen, arrived from Botany Bay early in 1865 and later bought land on the river bank at Bulimba). In 1909 Norman Wright commenced business on his own account initially at Newstead. However a Brisbane City Council decision to resume the water frontage caused the removal to Bulimba. With the outbreak of World War II, the Bulimba boatbuilding industry shifted to wartime construction and contributed all types of craft from small motorboats to coastal patrol boats, with the Fairmiles being the best known. Just as Norman Wright owed a debt to John Whereat for his start in boatbuilding, so too did he pass on his skills to many other boatbuilders, initially to the likes of Jack McCleer, Roy Bliss, Charlie Crowley, the Tripconys, and Lance Watts, who in turn continued the tradition as the Bulimba boatbuilding industry continued to evolve to the present today.